Diabetes, often viewed as a "simple little sugar problem," is actually a very serious disease that affects 120 million children, women and men worldwide--and the number is increasing. This silent killer, which is a leading cause of blindness, amputations, kidney failure, heart disease, stroke and other devastating complications, is desperately in need of a cure. The Gray Ribbon Campaign began with a small group of people who decided it was time to get the message across. And noting the success of other ribbon campaigns this group realized that diabetics (and those who care about them) should have their own ribbon---with gray representing clouds (every cloud must have a silver lining) and with the stone symbolizing blood. Thus the Gray Ribbon was born. The ribbon campaign has caught on and is spreading like wildfire...in the USA, Canada, the United Kingdom, Greece, Mexico....wherever there is someone who has heard about the Gray Ribbon. The support has been amazing. PLEASE JOIN THE CAMPAIGN AND WEAR A RIBBON!!! HELP FIND THAT SILVER LINING....A CURE! There is no organized campaign for creating the ribbon. People who are involved have created their own campaigns. They form groups or they work by themselves or within their own families. Then they go to local pharmacies, doctors' offices, community centers, houses of worship, etc. to distribute ribbons. 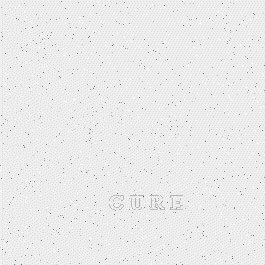 The goal is to get the "we need a cure message" across. If you belong to or know of a group that would like to participate in this project please feel free to get started as soon as you can. As for making the ribbons, the methods vary only slightly among our ribbon makers. We use either 1/4, 1/2 or 5/8" grosgrain or satin ribbon (gray or silver) cut into a 4 to 6" strips. We loop the strip and place a tiny bit of glue (using a glue gun or fabric glue) to hold the ribbon together. Then we place a red stone at the fold. I prefer the 1/2 ribbon. Others like the 1/4" or the 5/8". I have used jewelry pins but that's not necessary; others have successfully used small safety pins. A Pot'Gold symbol will be placed next to the names of those who have made more than 500 ribbons.